Piab has a wide experience in various applications and industries, from pick and placing small candies to large heavy boxes. They also aim to reduce your energy consumption and improve your working environment. The Piab Automation Guide is loaded with products and information for vacuum applications. For assistance in selecting the correct products contact us today! Featuring Piab's signature vacuum technology, enabling improved efficiency, productivity and working environments, piCOBOT offers industry certified plug-and-play extensions to the latest collaborative robots, so called cobots. The gripper is adjustable, together with piSAVE sense – an object sensing valve – the flexibility for kitting process is very big. 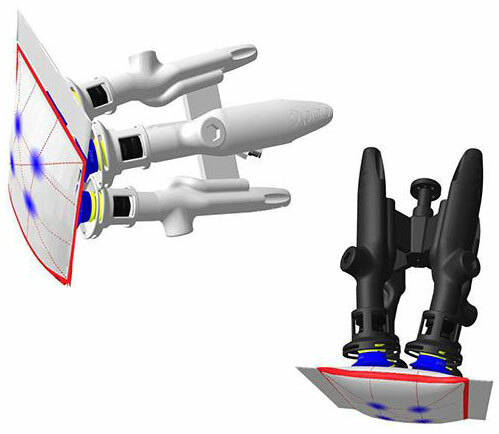 piCOBOT can pick, one or two items in the same pick, with different shapes or structures. 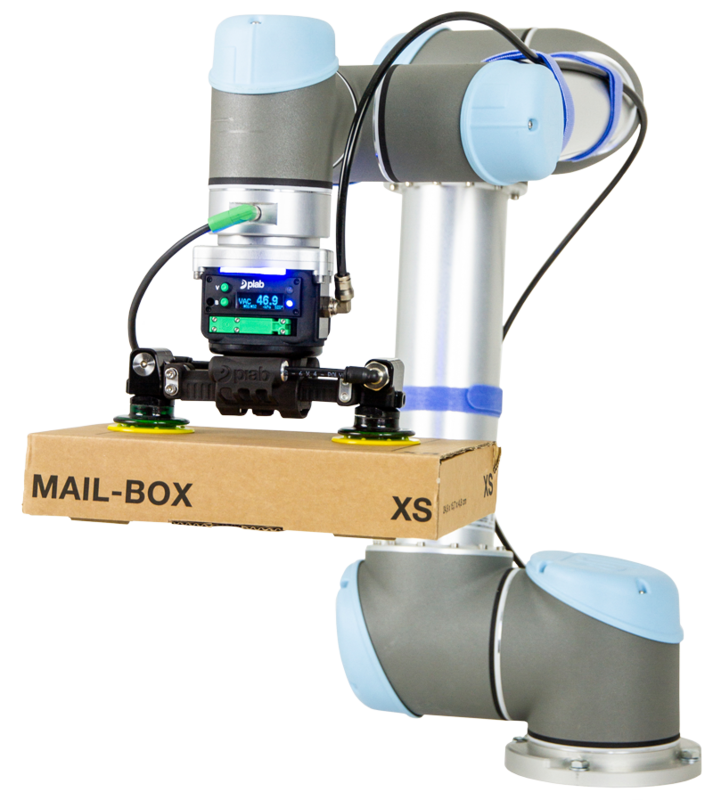 Thanks to the multistage COAX cartridges the high flow capacity of piCOBOT is outstanding. It can grip anything from very porous to sealed material, from lightweight up to 7kg [15.5Ibs]. A vacuum system based on COAX® technology can provide you with three times more vacuum flow than conventional systems, allowing you to increase speed with high reliability while reducing energy consumption. Technical and electrical interfaces are seamlessly adapted for UR robots which makes it truly plug and play for the customer.  The URCap facilitates installation, set up and programming. 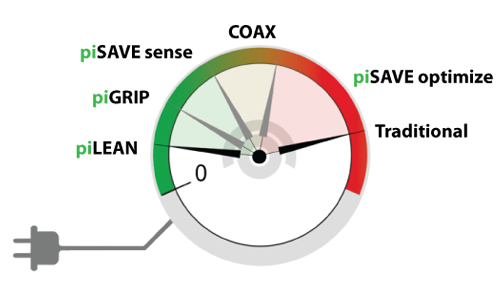 There is also onboard intelligence, which makes piCOBOT adjust automatically for every different application. piSOFTGRIP has three gripping fingers and a vacuum cavity, all made in one piece, resulting in a simple and robust product. As it is vacuum-driven, the gripping force is easily adjusted and controlled by the applied vacuum level. 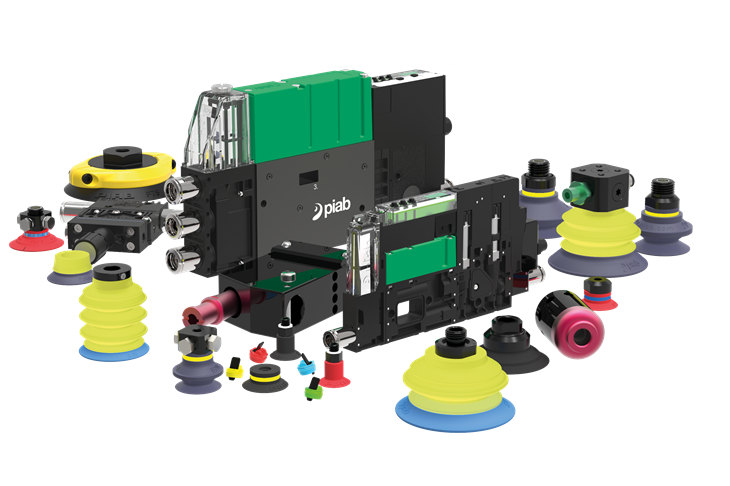 Piab’s decentralized Vacuum Gripper system, VGS, is a product solution integrating high quality suction cups with COAX cartridges. VGS makes selection, sizing and installation of a vacuum system much easier. Design and dimension mistakes for the vacuum system will be avoided. You will enjoy the benefits of a more efficient and reliable vacuum system. Increased machine speeds can be achieved thanks to faster response times with the vacuum source right at the cup and better initial vacuum flow which will grip the object faster. The decentralized approach provides safety with one vacuum source per suction point and it also eliminates flow losses in long vacuum hoses, making maximum use of energy. A decentralized system is designed to have the vacuum pump/cartridge placed directly at the point of suction. A centralized vacuum system is designed to have one vacuum source for multiple suction points. 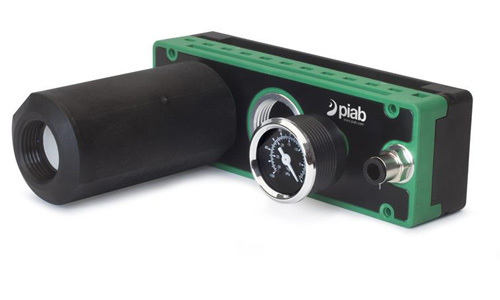 Piab offers a style of Vacuum Pump or Vacuum Generator to fit any application. 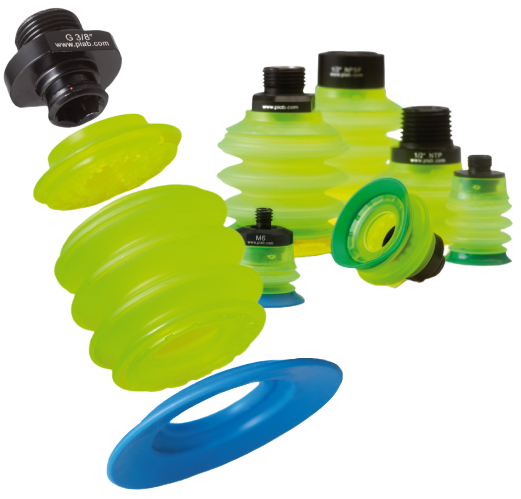 Styles include inline, compact/stackable, standard, extra safety and chemical resistant. piSAVE® products are a group of products save energy in various applications. They enhance an existing vacuum system; either at the suction cup or at the vacuum source. 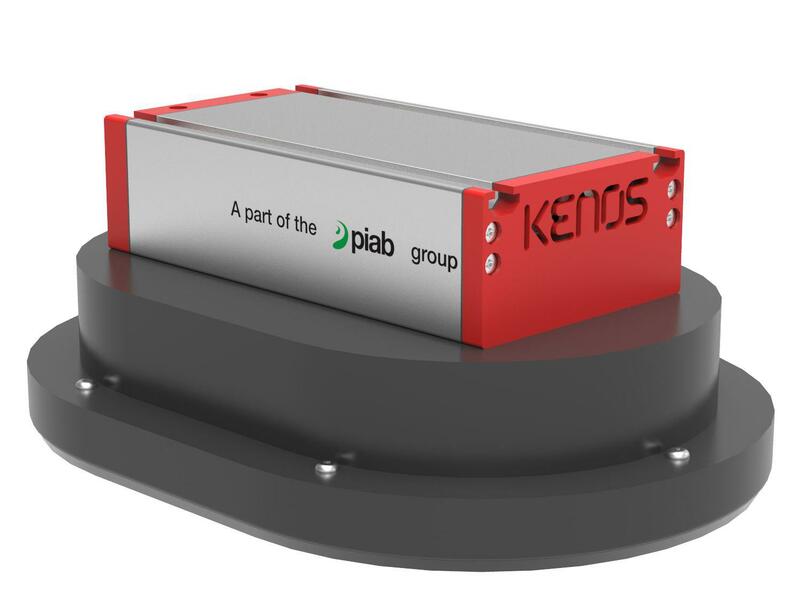 Kenos is a leading brand for large area vacuum grippers. It is designed and optimized to be used in various applications e.g. packaging, wood, food etc. The product group represents a flexible solution for the handling manipulation of several products with different shapes, dimensions and compactness. Most of the gripping systems can be equipped with integrated vacuum generation or suitable for separated vacuum generation (Pump or Side channel blower). The CBG is a configurable 3D printed gripper for handling pouches and bags (nothing else). A special developed configurator tool makes it possible to tailor-design (custom make) a vacuum gripper for a defined bag or pouch in a very simple way. piGRIP FDA approved suction cups for bags/pouches. COAX SX12 vacuum cartridge, special version for dirty/dusty environments. Always one per suction cup. Automatic quick-release function, one per suction cup. One common connection for compressed air. Possibility to send a signal in case of crash. 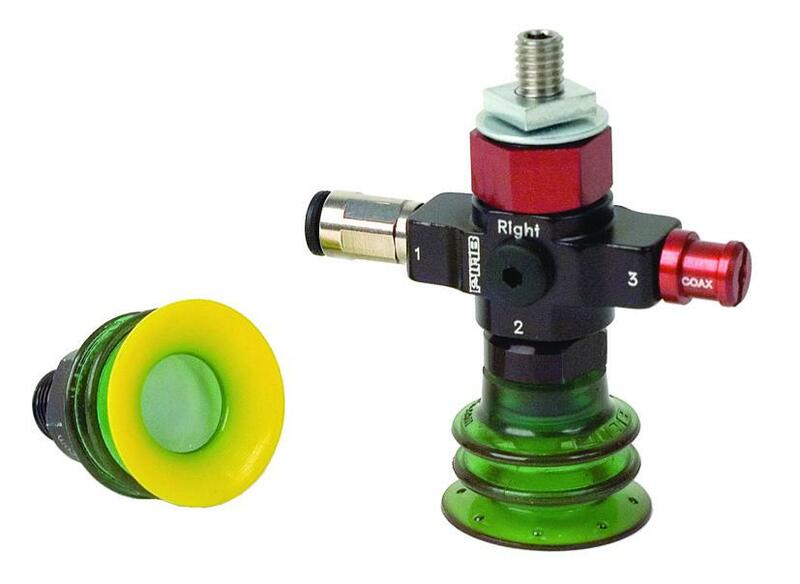 Stabilizers for suction cups as an option, useful in high speed applications. High end 3D printed material, FDA approved as an option. Connection for “zero position“ pin/needle.